• Maximum level increased to 80. • New Rank added: Immortal. • iPhone 5 support and optimizations. Have you seen the original drawings and 3D models of various characters in Bullet Time HD? Check out the character concepts and layouts by Jan Rybka and models/textures by Jason Gordy. New video on coop multiplayer with 3 players in the party. Run and gun together and play as a team! New videos on singleplayer campaign in Chapter 3. If you get stuck on the mutant champions, check out the short clips on YouTube. The gameplays are on hard difficulty. Now you can sign up at the Unofficial Bullet Time HD Guide and publish your game data to meet new Game Center friends for the Bullet Time HD multiplayer. Tell others about your level, guns and armor and tell them when you usually play Bullet Time HD. Act now! Publish your own information and meet new Game Center friends. 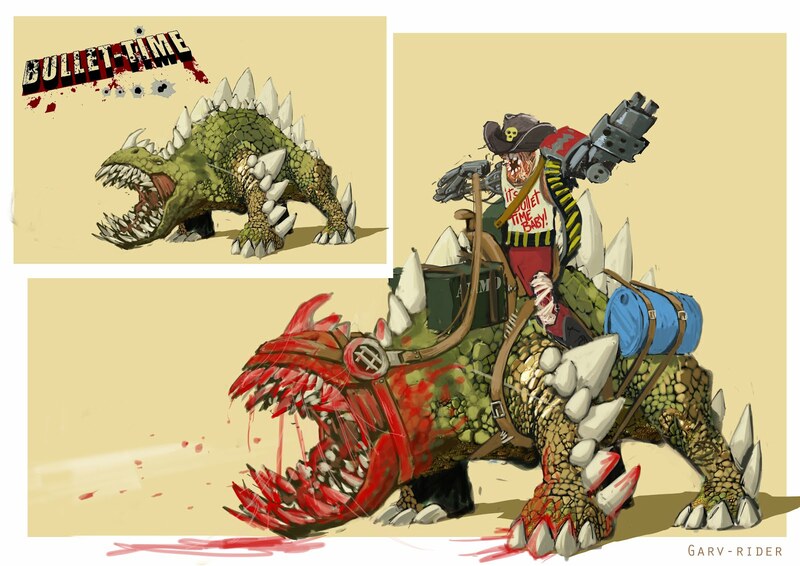 In order to survive this post-apocalyptic world with waves and waves of mutated beasts, you need good guns, armor, and determination. But above all, you need someone to guide you through the wilderness. And here it is. 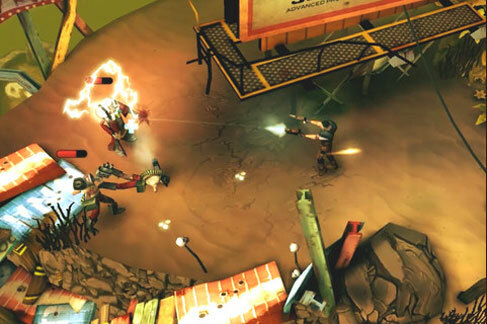 In this guide, you will find every piece of information you need to work your way through hordes of mutants in campaigns and coop multiplayer. Follow the engaging story of John Irish in three campaign chapters. Get to know the types of loot different monsters drop. Start picking them up and grind for more silver, boosts and crystals. Looking for secrets? Check out their locations and the entrances to those secret chests. How to deal with the chapter bosses in Bullet Time? Understand the environment and the tactics they employ. 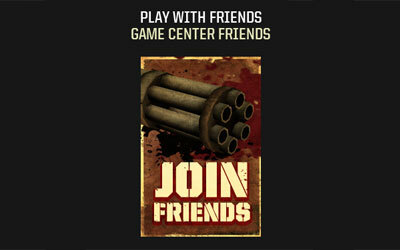 Team up with friends and other players in survival coop and aim for the score. Survive the later waves of coop multiplayer and avoid receiving too much damage. Get yourself the best gear to run and gun. Not knowing what to do when the shamans are healing each other? Pair up with your teammates and aim for one-hit kill. Teamwork and cooperation is the key to success in coop multiplayer. Be generous and heal your teammates.